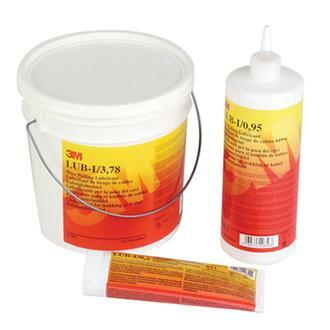 3M’s cable cleaning wipes are designed for cable jointers to clean contaminants such as grease, oil, sealants and cable jelly from switchgear and cables and is ideal for cable cleaning prior to cable jointing, substation cleaning and maintenance and the degreasing of overhead power lines in rail applications. 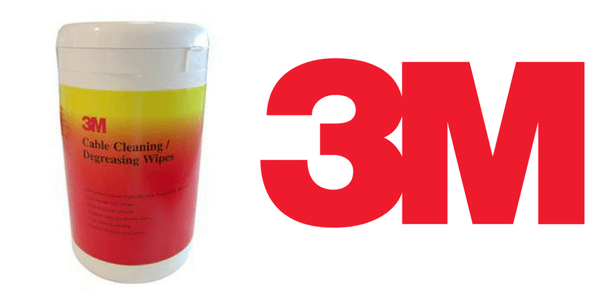 3M’s cable cleaning wipes are lint free and high strength and are able to safely and effectively remove heavy or old deposits without hazard to the user, environment, substrate or insulation materials – the cable wipes are used to clean electrical equipment and cables without chlorine and are classed as non-aromatic. The cable cleaning wipes are available in 3 sizes of containers offering 75, 250 and 500 cable wipes. Gloves are recommended to be worn for skin protection – refer to cleaning wipes MSDS Material Safety Data Sheet. 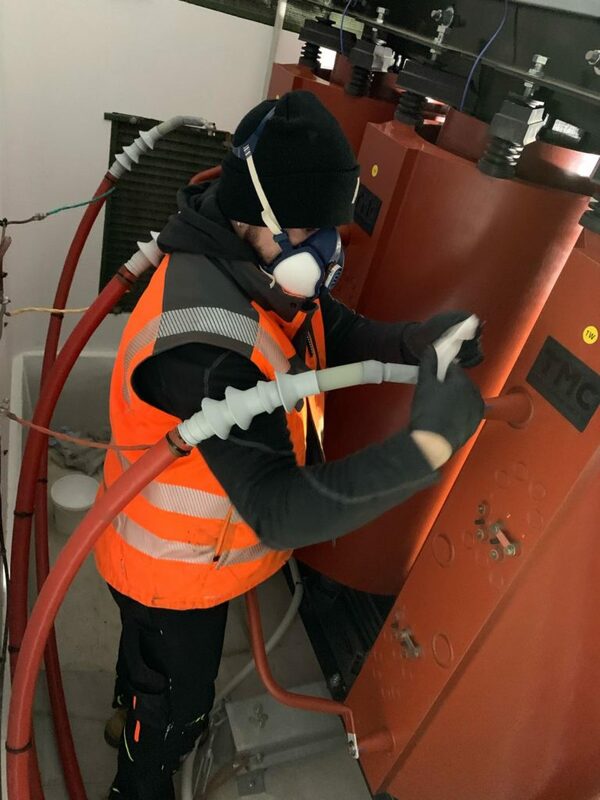 During the jointing of LV HV cables the sheaths must be abraded by rasp to ensure excellent adhesion of the jointing resin – once the cable is abraded approved cable cleaners should be used to remove all loose particles. Here a O&M Engineering Manager is shown using cable cleaning wipes to clean down the HV terminals on a TMC manufactured transformer. TMC Transformers is a European company and global leader in the manufacture of low and medium voltage transformers, both VPI and cast resin transformers. Image: Solarcentury. Cable wipes have been adopted by UK and international power utilities for cleaning polymeric and bitumized coated cable sheaths and the removal of greases – once the LV HV cables are effectively cleaned an excellent bonding and sealing surface is secured for resin, Cold Shrink or heat shrink jointing systems to adhere to. The cable wipes are pre-impregnated with cleaner avoiding the requirement for solvents to be dispensed from containers – this eliminates the risk of unnecessary, wasteful and potentially harmful effects of exposure to spillage and splashes of the cable cleaner. During the installation of HV cable joints, terminations or connectors cable cleanliness is essential to prevent premature malfunction and failure of the cable accessory – approved cable cleaning wipes are used to remove all traces of the semi-conducting screen from the cable end towards the cable termination/joint point. The cable jointer must wipe the cable insulation along the available length to ensuring complete removal of contaminants.